In parts one and two we looked at the detailed architecture, interiors, and landscaping of Disney’s Animal Kingdom Lodge. Now we are taking an in-depth look at how the landscaping creates the truly immersive feel to the resort. 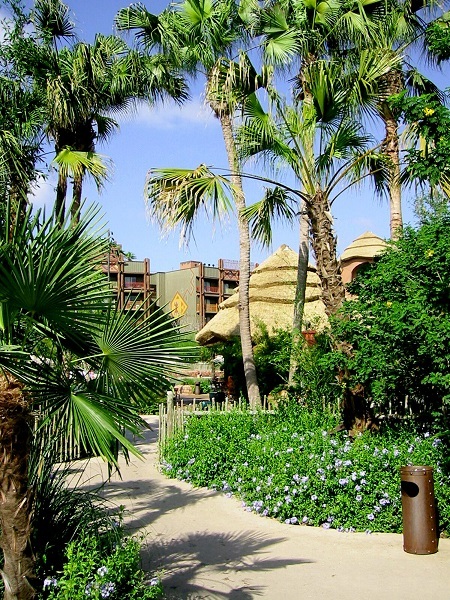 Additionally, we’ll also cover the addition of the Disney Vacation Club. 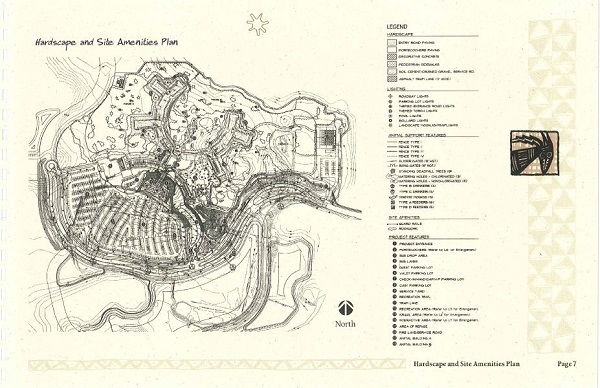 Herbert-Halback, Inc., a landscaping architecture firm in Orlando, Florida, was responsible for the design, site development, and landscaping architecture at Disney’s Animal Kingdom Lodge Resort. Leading this project was Frederick “Fred” Halback, Co-Founder and Senior Principal of Herbert-Halback. Today the firm is known as Marquis Latimer + Halback, Inc., in St. Augustine, Florida. 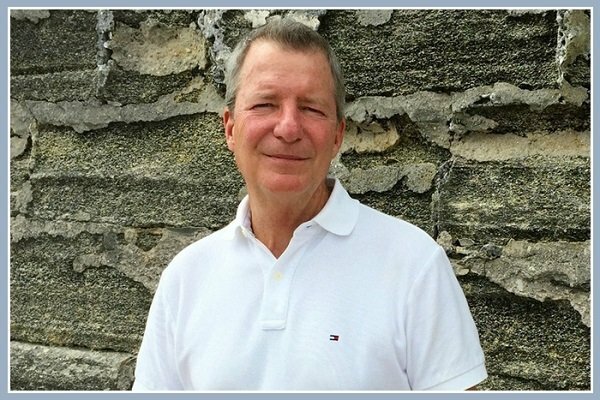 Photo: Marquis Latimer + Halback, Inc.
After designing the Swan and Dolphin Hotels, Herbert-Halback went on to design Disney’s All-Star Resorts, the Wide World of Sports Complex, and a variety of Disney-related projects. They already had a good track record with Disney. When the project finally got the green light, Herbert-Halback was in the right place at the right time. Image: Marquis Latimer + Halback, Inc.
capture the spirit of adventure, of the exotic, of the unknown romantic Africa. ancient civilizations and vast landscapes. Halback said that this type of land was “extremely important for the health and the care of the animals because most of the kinds of animals that were suitable for viewing at this kind of facility were hoofed animals.” This was important because the drier the ground is, the easier it is to deal with the animal husbandry aspect of Animal Kingdom. 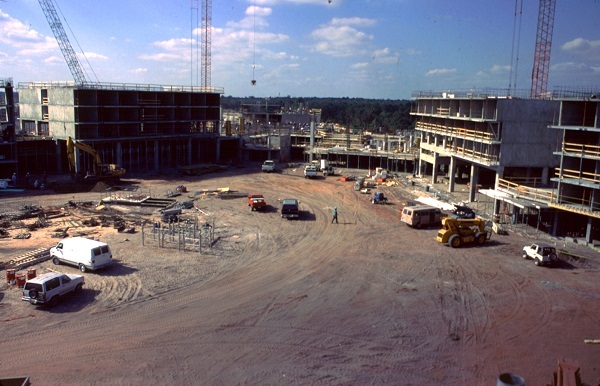 This piece of land was perfect for the building of Animal Kingdom Lodge. 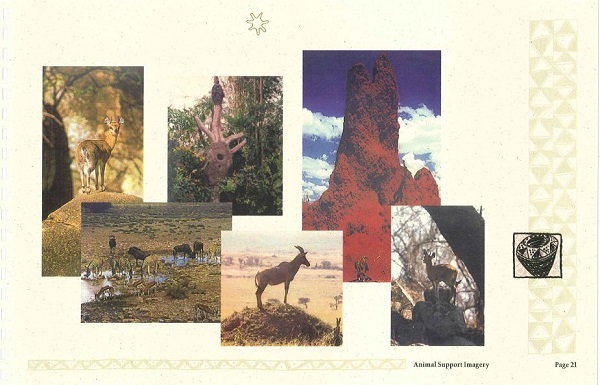 “It lent itself to making it easier to recreate the imagery of these places that we wanted to interpret.” The flatness of the land helped because it was exactly what people envision when they think of an African savannah and “candidly, it also made it easier for us because it allowed us to manipulate the grade where we wanted you to have a different experience,” said Halback. 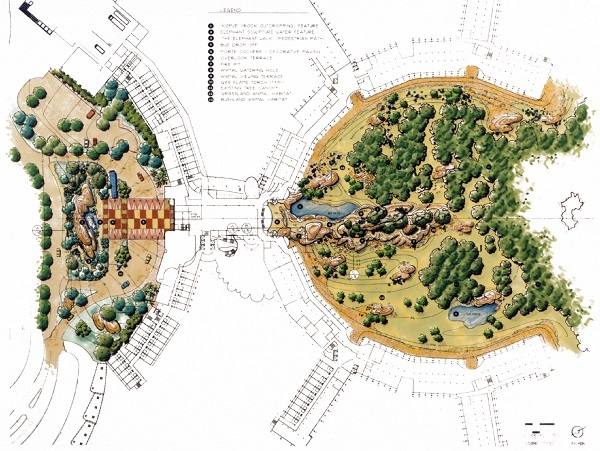 It wasn’t enough that the physical design of the Animal Kingdom Lodge had to look like a structure out of Africa, the grounds surrounding the lodge had to faithfully replicate an African savannah. 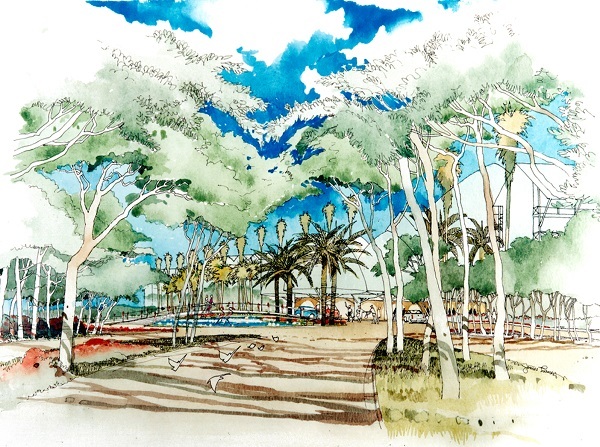 Halback and his team had to interpret three kinds of landscaped environments in order to fully immerse the guests. These environs are elevated rock-outcropping areas, the savannah or grasslands, and a riverine system. 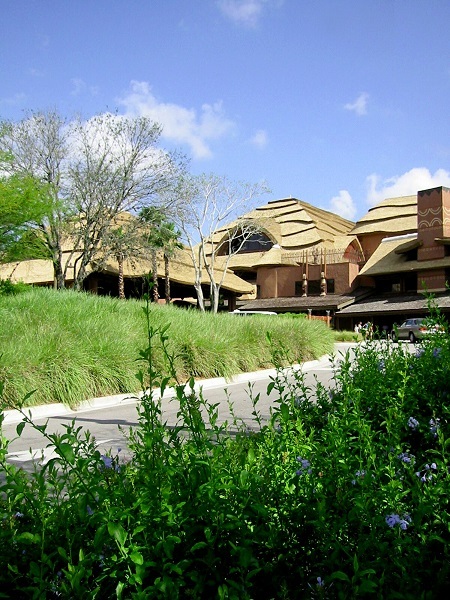 Halback said that Peter Dominck created a backstory about what the Animal Kingdom Lodge was and that his story really helped them interpret its design and feel. 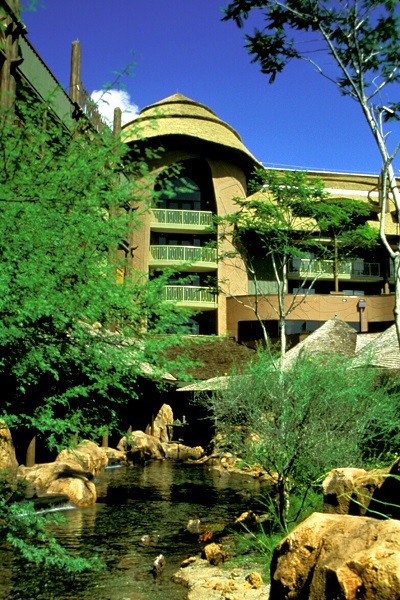 He said that the Animal Kingdom Lodge was this great encampment that a Swahili king left his son. The son continued to develop this encampment and because this family was strong and important, the encampment was on a rock kopje so they could easily defend themselves in case of attack. There was also a spring on the encampment. 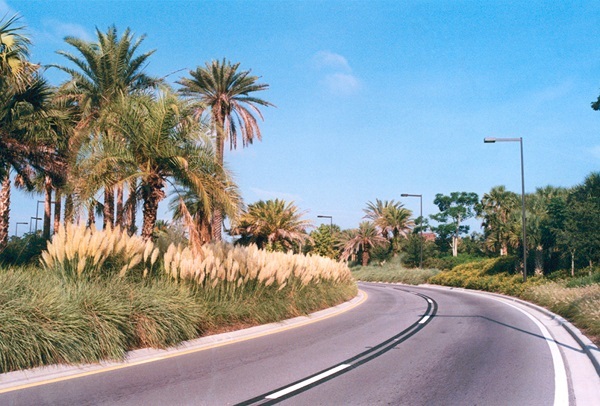 Because of what they had already done at Animal Kingdom, Disney Imagineers — such as Joe Rhode, Paul Comstock, and others — already had an extensive knowledge of plants that they were looking for. They really helped Halback and his team in identifying the various types of plants and flowers that were to be planted at the resort. 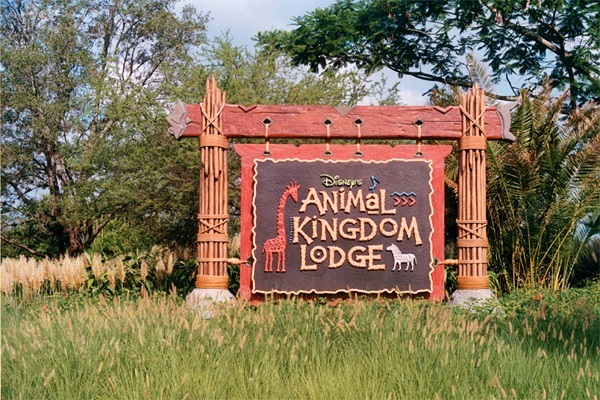 Halback and his team benefited greatly from the fact that the Animal Kingdom park was up and running for a couple of years now. Not only did they have access to ready-to-use plant materials, but they also learned from Disney’s past mistakes. It also made Halback’s job a bit easier, as Disney already had sources to find materials that they needed. 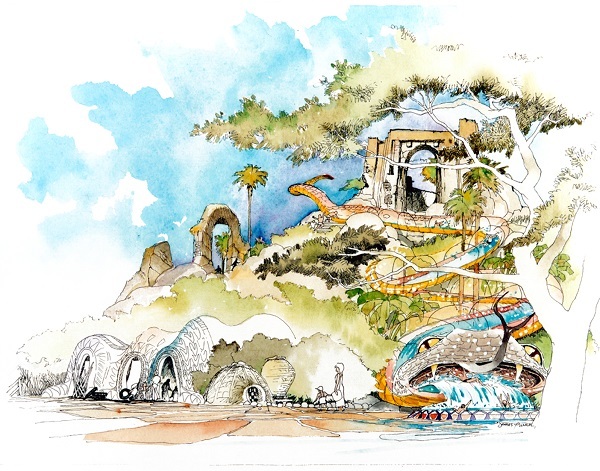 “The notion of the plant material was to recreate those three basic landscape experiences,” said Halback. “We were always trying interpret elevated rock-outcropping areas, the savannah or grasslands, and a riverine system,” said Halback. 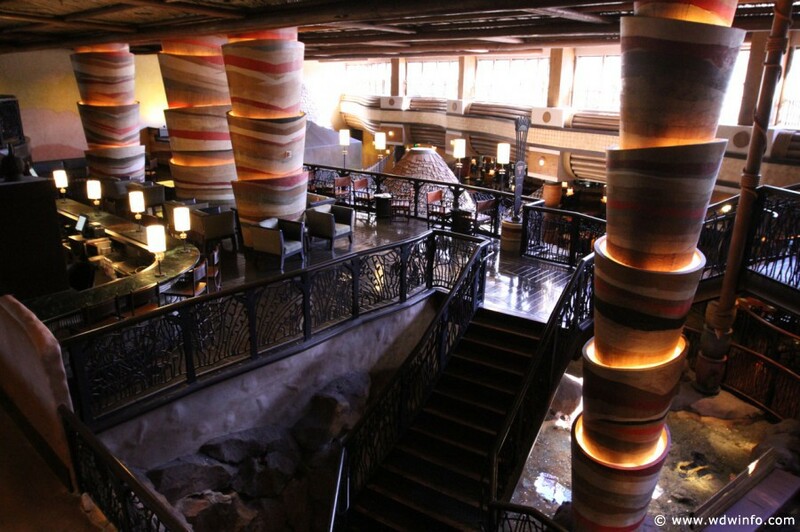 Selecting and approving the various plant materials for the Animal Kingdom Lodge was a team effort. Disney horticulturists, and in particular Paul Comstock, were very helpful to Halback and his team. 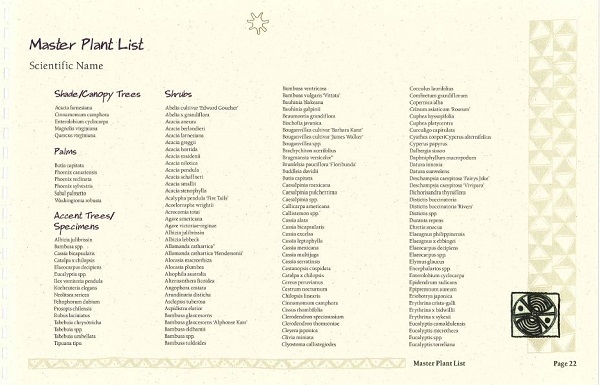 In addition, Halback did extensive research into plant material and suggested an exhaustive list of trees, plants, shrubs, grasses, and flowers that they interpreted from the story lines what Disney and Peter Dominick and the team from 4240 Architecture wanted. “We very much tried to match up those story lines with the experience you would have with the landscape,” said Halback. 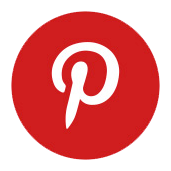 Image: Marquis Latimer + Halack, Inc. In addition to the aesthetic landscaping, Halback created landscaping that had a functional purpose, like shielding back-of-the-house areas and activities and creating entry experiences. Disney has always been about setting up the experience long before guests actually arrived at their destination, and the resort hotels were no different. When arriving at a Disney Resort hotel, the guest’s experience starts long before they arrive at the front door. Typically this immersion begins with intricately themed and landscaped entrances. 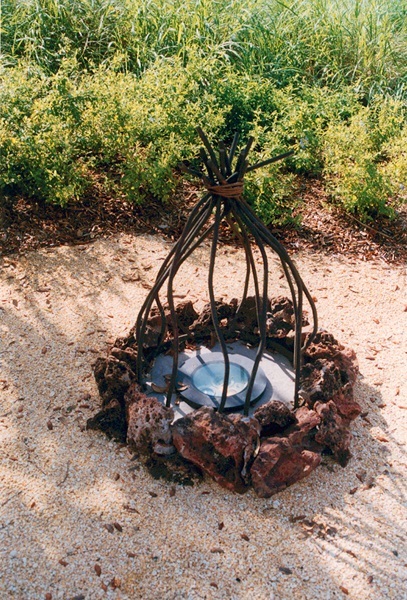 Pulling from one of Halback’s three interpreted environments, the riverine is represented inside the hotel — in particular in and around the restaurants — through various forms of water features. 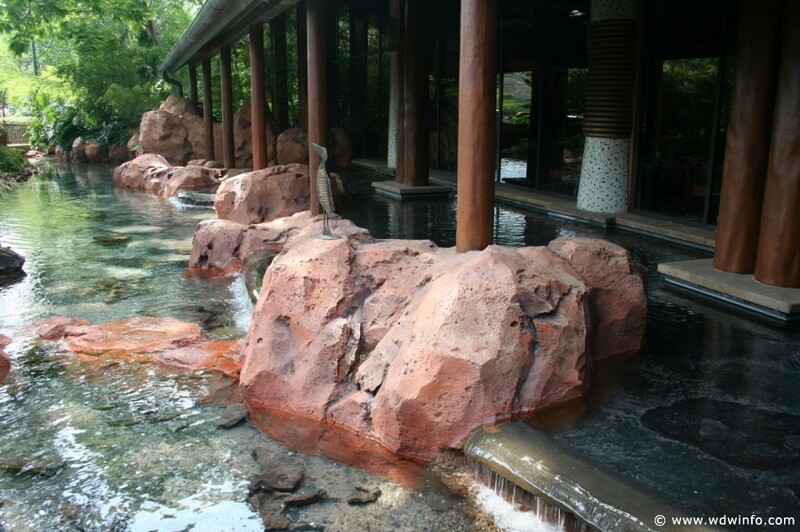 Starting on the lobby level and heading down the staircase to Boma and Jiko are water features that flow out of rocks and head down to a pool of water below. “We very much wanted to pick up on that notion the reason why the lodge was located where it was because it was the source of the wellspring — water bubbling up out of a rock,” said Halback. “We architects had the water going through the restaurant — which the restaurant designers loved — then out to the pool area as a stream and a riverine system that ends in a pool of water.” Halback said that guests could imagine this is where the animals could be drinking. “Although we don’t have animals in the pool. we certainly have animal viewing areas that are right next to the pool. You can stand in certain areas around the pool and look down into an area where there would be animals and then turn 90 degrees and look back across the pool area and have that experience.” This was carefully thought out to connect the guest experience to the African experience. It was designed to give the feeling of respite, safety, and transition. “We wanted to seamlessly connect those two things,” said Halback. As with many modern pools, Animal Kingdom Lodge has zero entry pools. Since there were no steps or steep drops, guests could walk right into the pool just as one would if they were walking into a lake in Africa. 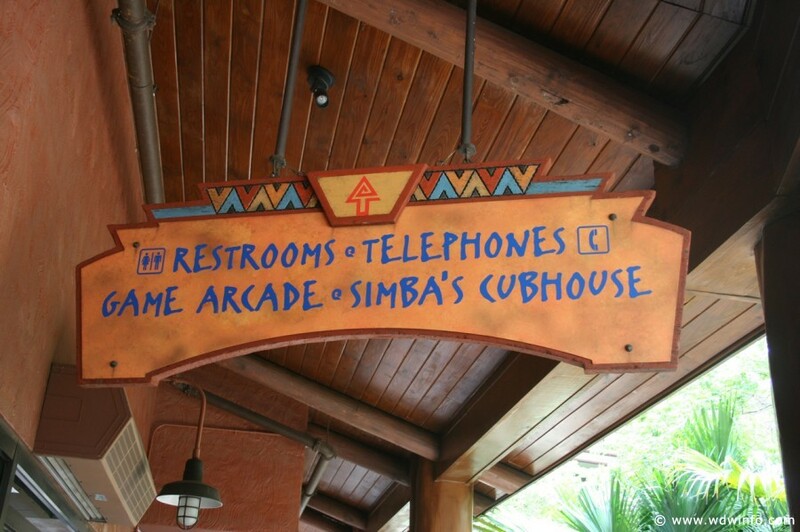 Disney also had to include a playground and water slides, but Halback themed them around African art and the African experience. “We worked a lot to make sure they seamlessly fit in and not just a piece of playground material that was just dropped there,” said Halback. The inspiration for the various rockwork throughout the lodge goes back to Peter Dominick’s backstory that this was the home of a great Swahili king and the best location for his dwelling was someplace up high — some place where he could look out and see for miles around. According to Halback, this place was a “promontory with a large rock kopje that literally comes out of the building itself.” The entire hotel acts like a giant observation platform where you can look out onto the savannah. It also explains why there is a dual sweeping staircase at the opposite end of the lodge. 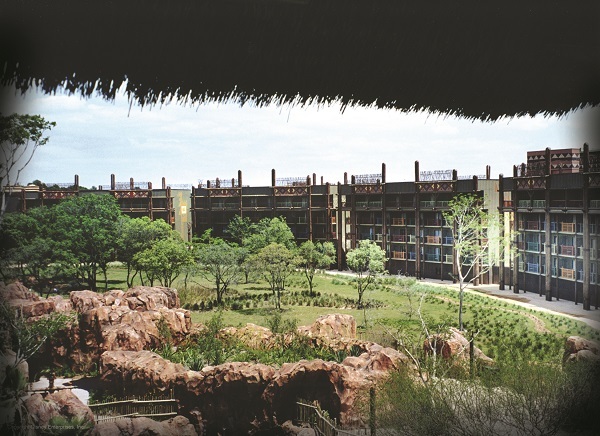 It brings the guests back down to ground level where the savannah and animals are located. Halback was laughing when he said that the plantings they created and installed in the animal habitats 20 years ago probably do not look anything like the original planting design plan, because the animals would have chewed on them or they would have been moved to another area. Halback said he likes that because that is what make it feel real. 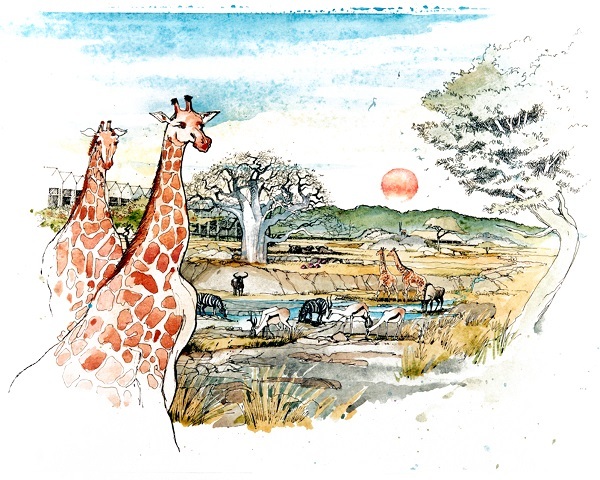 “The thinking behind the placement of the savannahs around the lodge was to present an experience for guests that replicated a safari adventure through the Serengeti in Africa,” writes Chuck Schmidt, author of Disney’s Animal Kingdom: An Unofficial History. They certainly did that in spades. 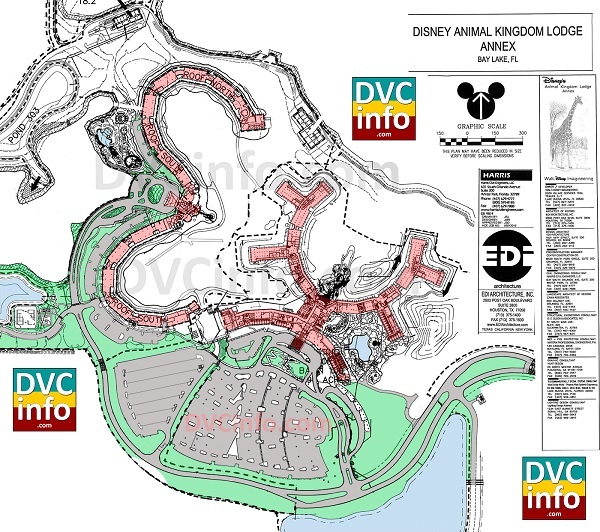 On October 11, 2006, Disney announced that the Animal Kingdom Lodge would also include Disney Vacation Club (DVC) accommodations. 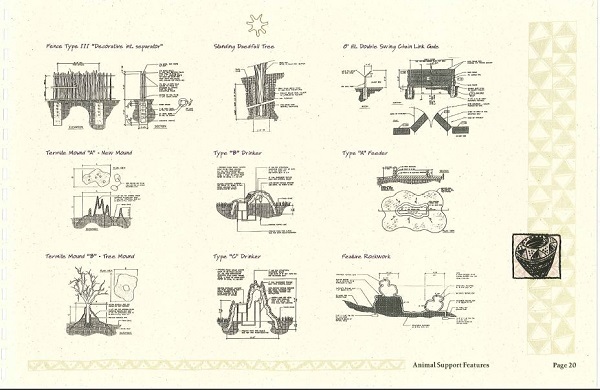 Peter Dominick and his team at 4240 Architecture were also responsible for the design of the resort’s DVC properties. “Maintaining the quality of the hotel in the Vacation Clubs was important to the team,” said Randy Johnson. 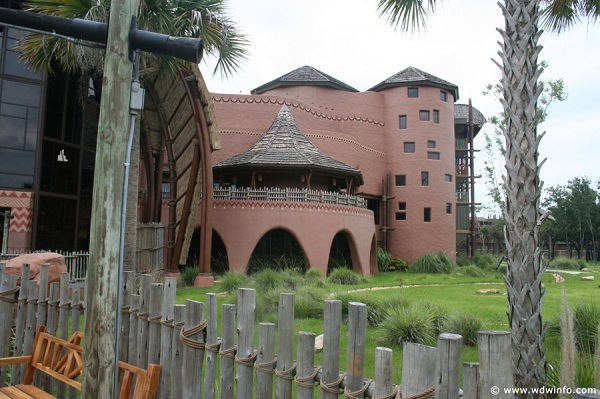 The first phase of the expansion at Jambo House, which included 109 guest rooms, was completed on February 18, 2008. 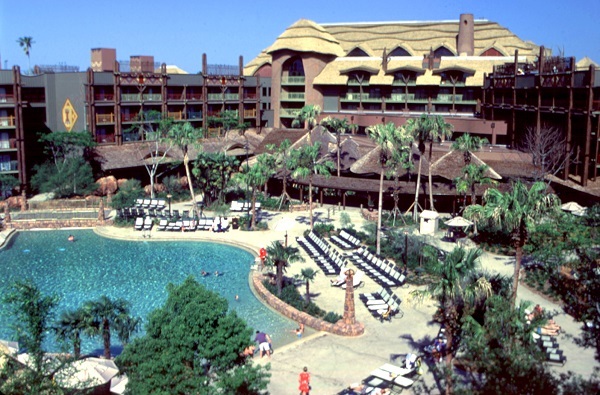 The second phase was the construction of Kidani Village, a separate building built to the west of the lodge. “The client desired a distinctive lobby space,” said 4240 Architecture, “intimate yet grand, to connect two new hotel room wings. 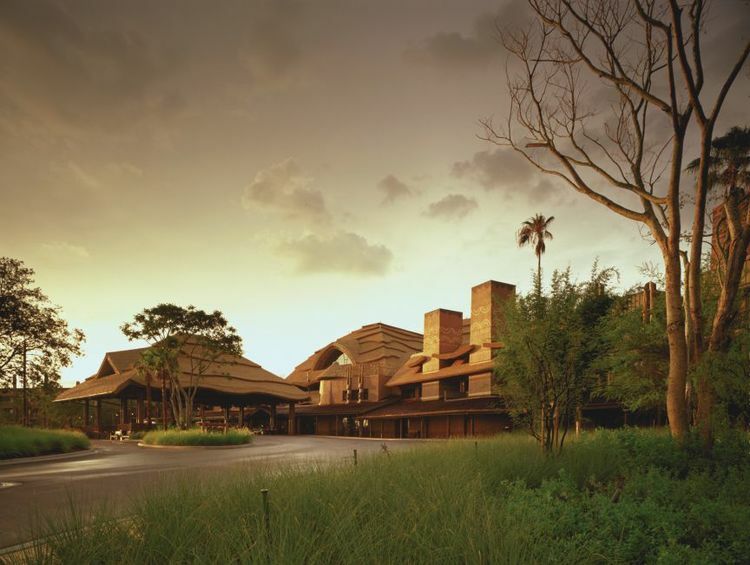 The design of the lobby, like that of the hotel itself, was to be heavily influenced by Western African culture and architecture.” On May 1, 2009, not only did the original resort become known as Jambo House, but Kidani Village also opened. Out of its more than 300 villas, 65% of its guest rooms opened on this day. 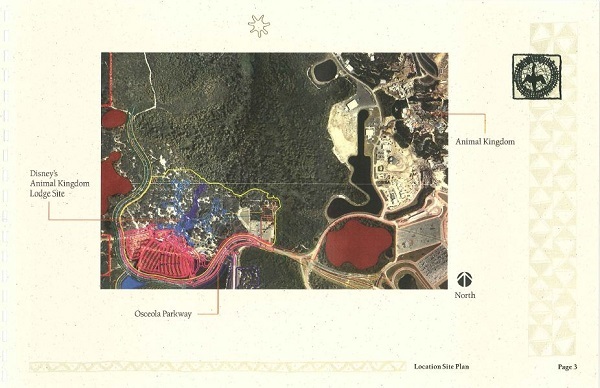 The remainder of Kidani Village was completed in September of that year. Africa, mysterious, mystifying, misunderstood. Experience a unique insight into the culture and lifestyle of her people. The (landscapes) physical layout will be an interpretive demonstration of the realm beyond human control which is perceived to be supernatural and where nature is a source of power possessed by spirits of land and water. Featured Image: Marquis Latimer + Halack, Inc.